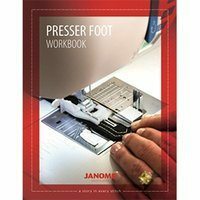 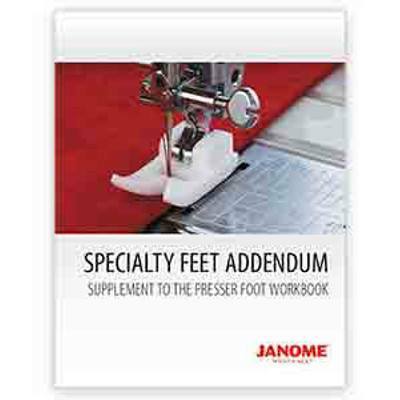 Janome's Specialty Presser Foot Workbook is a supplement to Janome's Presser Feet Workbook. 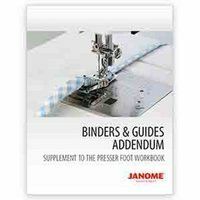 This specialty foot addendum contains 77 pages filled with information on standard and optional accessories used in specialty sewing and quilting (excluding the Binder). 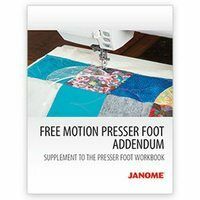 Learn everything you need to know to sew and quilt like a professional on your Janome Machine.